Planning a trip to the Philippines? You’re bound to have the adventure of a lifetime! And while you’ll be spending most of your time in a swimsuit and flip flops, you’ll probably want to pack a few other essentials as well, just in case. Read on to learn all about what you should be sure to pack for your upcoming island hopping, waterfall exploring, beach lounging, tropical paradise vacation! The majority of people living in the Philippines are Christian and you’ll see evidence of that everywhere – from bible verses painted on the sides of tricycles, to giant billboards proclaiming how much god loves you. So there are no religious rules dictating that you need to cover up. You’ll see tourists and locals alike frolicking on the beaches in skimpy bikinis or wandering around town in cut-off shorts. It’s also fairly unlikely that you’ll visit any churches so there’s never really a need to cover up unless you want to. There are only two seasons in the Philippines – wet season and dry season. Wet season lasts from June until October and dry season is November through May. The hottest months of the year are April and May when temperatures average around 34 °C. Tropical cyclones are quite common in the Philippines from July through September, with August being the most active month. If you plan on visiting during the wet season you should be aware that ferries and boat tours are weather-dependent which could put a big damper on your travel plans. Citizens of most countries are not required to have a visa for a stay in the Philippines up to 30 days (a few exceptions include India, Iran, Jordan, and a few others). Check your visa requirements here. Visitors from Israel can stay for up to 59 days without a visa. Be sure to purchase your return flight to your next destination prior to arriving to the airport or you may be denied boarding. If you would like to obtain an extension on your 30-day stay, it is easy to do at any Immigration Office in the country. Your first extension will be 29 days and thereafter you may apply for 1 month, 2 month, or 6 month extensions at least one week prior to the expiration of your valid stay. Depending on what country you are from, you can extend your stay for anywhere from 24 to 36 months. You’ll be taking quite a few rides in tricycles during your time in the Philippines, especially in the smaller towns where there are no taxi cabs. Tricycles are essentials motorbike sidecars and they have minimal luggage space. So the driver will either tie your bag onto the back with some twine or throw it on the roof rack. Better to pack in luggage that has some flexibility and can take a bit of a beating. Bring a carry-on that can double as a beach bag. You’ll be spending a lot of time jetting around on boats and lounging on beaches so this cute mesh tote is perfect for keeping your things organized and easily accessible. It even has an insulated cooler bag section to keep your drinks cold! The Philippines aren’t exactly conveniently located, especially if you are coming from the US. 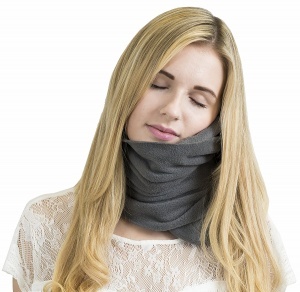 Bring a travel pillow on your flight so you can get some shut-eye during that long flight. Some of the most popular tourist destinations in the Philippines are actually under the water. You’ll want to capture the vibrantly colored coral and fascinating marine life with a waterproof camera. GoPro HERO6 is the most popular but the price point is quite high. There are plenty of similar options available that take high quality photos but don’t charge you for the brand name. The outlets in the Philippines fit type A, B and C. The standard voltage is 220 V and the standard frequency is 60 Hz. 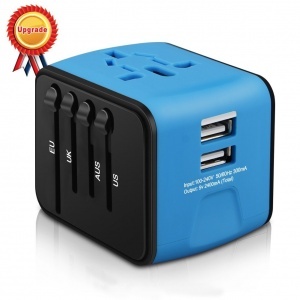 Meaning you won’t need an adaptor if you are coming from America, China, Japan, or Europe. However you may find that having a universal adapter with multiple USB ports comes in handy so you can charge multiple gadgets all at once. Whether you’re island hopping on a boat, waterfall canyoneering, or snorkeling with whale sharks, you’ll want to capture photos and videos of all of your adventures. Keep your cell phone safe and dry with a universal waterproof case by JOTO while snapping away. If you want to keep more than just your cell phone dry while cruising around the islands, invest in a high quality dry bag that’s large enough to handle your camera and other gear. If you don’t mind if your dry bag leaks a bit, there are plenty of smalls stands all over the country selling inexpensive options as well. You’ll likely be relying on your phone throughout the day for Google maps, restaurant reviews, and taking photos of the landscape. Make sure your phone doesn’t run out of juice by investing in a power bank. 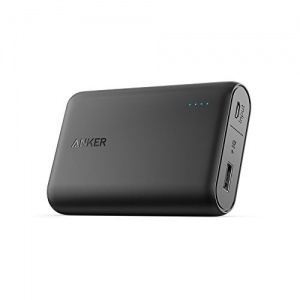 This one by Anker is small and lightweight so it’s easy to keep with you at all times. Don’t get caught without headphones on that long flight to the Philippines. This set by Focuspower are Bluetooth equipped, can connect to two mobile phones at once, have a long battery life, and have magnetic inductive charging. Long days spent lounging on the beach are more enjoyable when you have a cocktail in hand while being serenaded by your favorite jams. Invest in a set of waterproof bluetooth portable speakers to keep yourself entertained for hours. Don’t forget to download offline maps of the cities you’ll be visiting in the Philippines. Get a subscription to Amazon Audible for access to a huge selection of audio books to listen to while at the beach or on the plane. Transfer all of your favorite products into small, leak-proof refillable travel bottles. They are perfect to throw in your carry-on to freshen up during your long flight. Tampons are rare, especially in the smaller towns including El Nido and Coron. Most of the lotions here contain “whitening” agents (i.e. bleach). Bring your own favorite lotions from home if you’d rather leave with a tan. Floss can be difficult to find, even in the larger grocery stores. Sunscreen is expensive in the Philippines! Pack your own to avoid overspending. 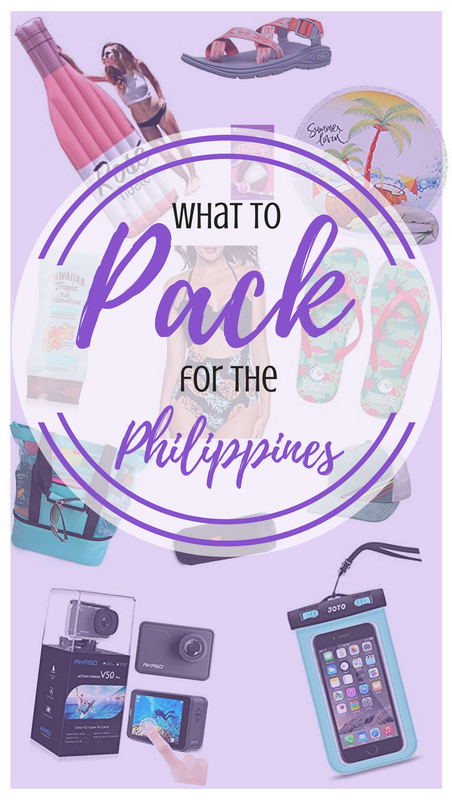 You’ll pretty much live in your swimsuit in the Philippines so you’ll probably want to bring more than one. Don’t worry about wearing a bikini here, there’s no need to cover up unless you want to. The shade offered on most of the boats is minimal so be sure you have a swimsuit cover-up with you to keep your shoulders from burning! You’ll end up wearing flip flops all day, every day in the Philippines. Be sure to pack at least one pair! 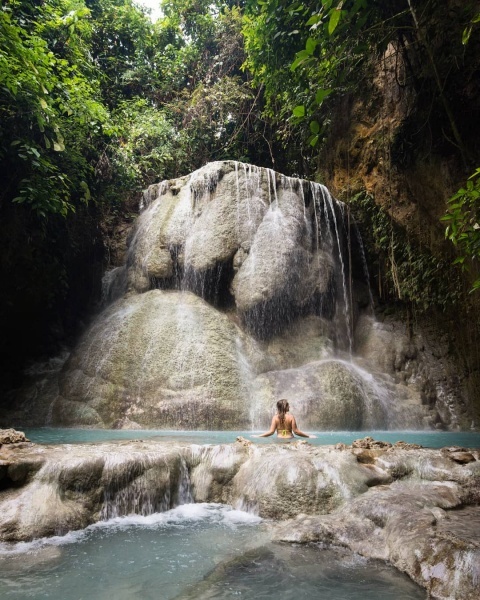 In order to visit the most spectacular waterfalls on Cebu Island you’ll be required to do a few water crossings and scramble up some slippery rocks. Be sure to pack some shoes with traction that you don’t mind getting wet. If you don’t want to invest in water shoes, an old pair of tennis shoes will work as well. While some hotels and boat tours will provide you with a beach towel, many will not. Best to pack your own. Bring a beach towel that is large enough to lounge on, lightweight enough to carry around with you on excursions, and that will dry quickly. If you’re a snorkeling fanatic and can’t wait to see the underwater wonders of the Philippines, you may want to consider bringing your own gear. Most boat tour operators have snorkel masks available for rent but they have been through some wear and tear. You’ll love how well this full-face mask fits your face to keep the water out. You’ll undoubtedly have a few epic photoshoots while enjoying the crystal clear water and sandy beaches in the Philippines. Bring a fun pool floaty to add a little something extra to your photos! The Philippines is a reasonably safe country but, as with anywhere else, opportunistic crime can happen. Pack a cross-body bag and keep your hand on it when traveling in crowded areas of larger cities. Stay up-to-date on safety and travel advisories here. No matter how much SPF you slather on your face, you’re still bound to get more rays than you want in the Philippines. Bring a cute hat with a wide bill to keep your face protected throughout the afternoon. Keep those eyes protected from the harsh rays with a pair of polarized sunglasses and a sturdy case to keep them safe in your carry on! To purchase your return ticket in advance. 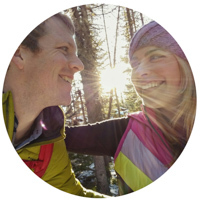 Sign up for a credit card with no international transaction fees. To call your credit card company and release your card for use in the Philippines. A back-up credit card in case you have any issues with your primary. To upgrade to an international cell plan during the month that you’ll be gone. Are we missing anything important? Let us know in the comments so we can add it to the list!